SPRINGFIELD, Mass. 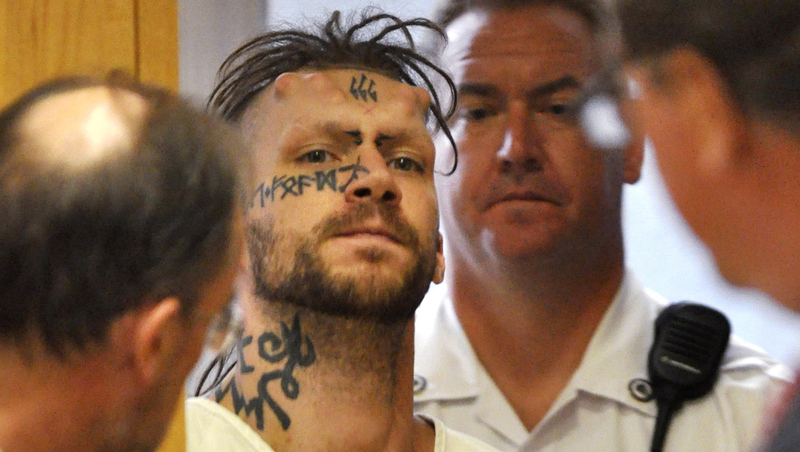 - A man has been found guilty of murder and other charges for his role in the kidnapping and slaying of three Pittsfield, Mass. men in 2011. Caius Veiovis yelled at the Springfield jury that convicted him Friday, saying "I'll see you all in hell." They had considered his case for the past week. Veiovis, 34, was also convicted of three counts of kidnapping and three counts of intimidation of a witness in the killings of slayings of David Glasser, Edward Frampton and Robert Chadwell. Their remains were buried on private property in Becket. The two other men charged in the killings have already been convicted and are serving sentences of life without parole. Authorities say one of those co-defendants wanted Glasser dead so he couldn't testify against him in another case. The others were killed to eliminate witnesses. The trial was moved from Berkshire County. The Berkshire Eagle reports Veiovis' sentencing is scheduled for Monday.